Vondelpark is the largest city park in Amsterdam, and certainly the most famous park in the Netherlands, which welcomes about 10 million visitors every year. 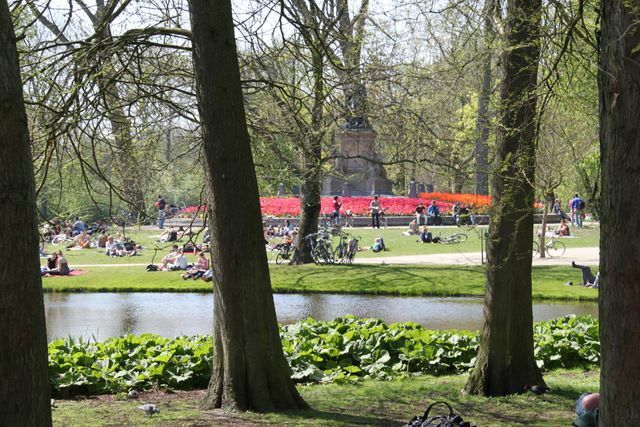 The Vondelpark is located south of Leidseplein and quite near of the Rijksmuseu, Stedelijk Museum and Van Gogh Museum. The Vondelpark is loved by Amsterdammers as well as by tourists, and is full of people - enjoying a sunny day, dog-walking, jogging, roller-skating, listening to music, people-watching, or just lazing about in grass. 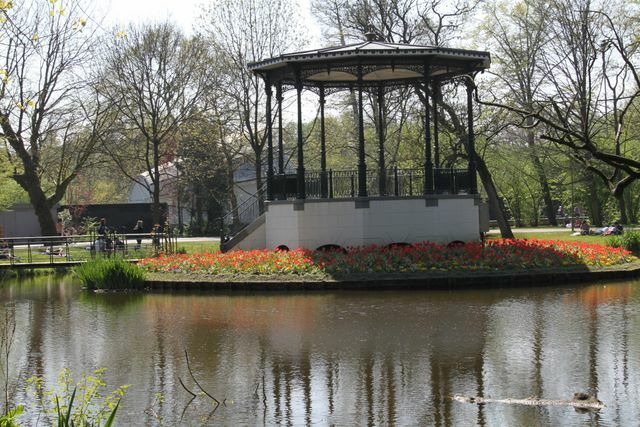 Free concerts are given at the open-air theatre or in the summer at the park's bandstand. 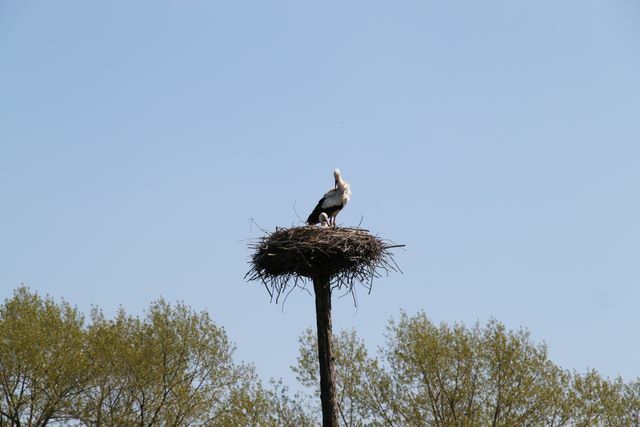 Other attractions are the statue of the poet Vondel, the cast iron music dome, the Groot Melkhuis with playground for children, and the Film museum with its popular terrace. Theatre and music is played during June, July and August. The open-air theater takes place in Vondelpark five days a week, near the entrance from Eeghenstraat. The entry is free. 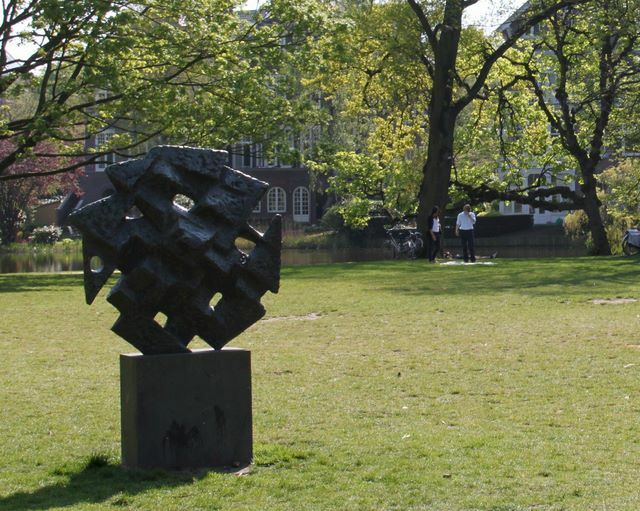 In 1864 a group of prominent Amsterdammers formed a committee to found a public park. They raised money to buy 8 hectares of land and the architect L.D. Zocher was commissioned to design the park as an English landscape. They used vistas, ponds and pathways to create an illusion of a natural area. 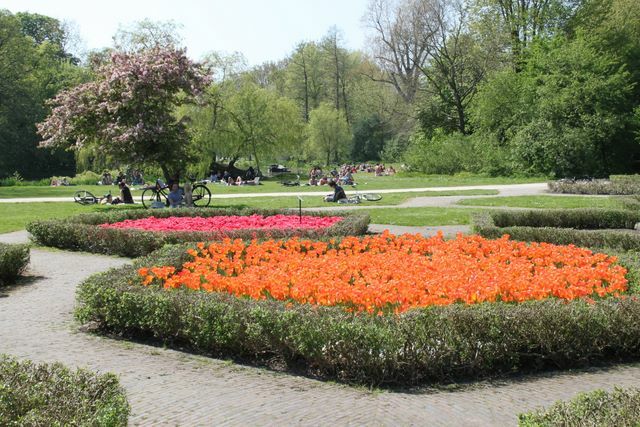 The park was open to public in 1865 as a horseback riding and strolling park named Nieuwe Park. 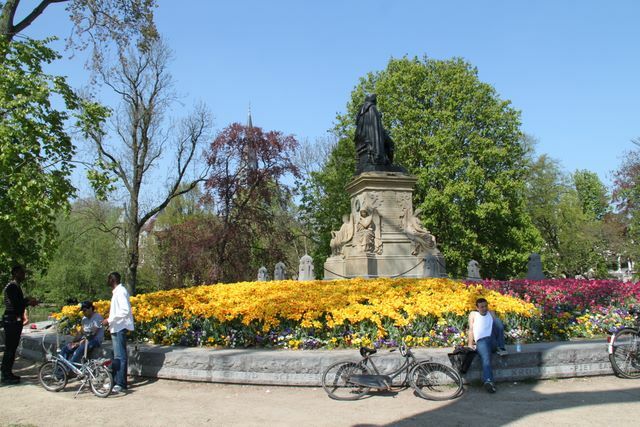 The name Vondelpark was adopted in 1867 when a statue of Dutch poet Joost van den Vondel was situated into the park. The committee soon raised money to enlarge the park and by 1877 it reached its current space of 45 hectares. 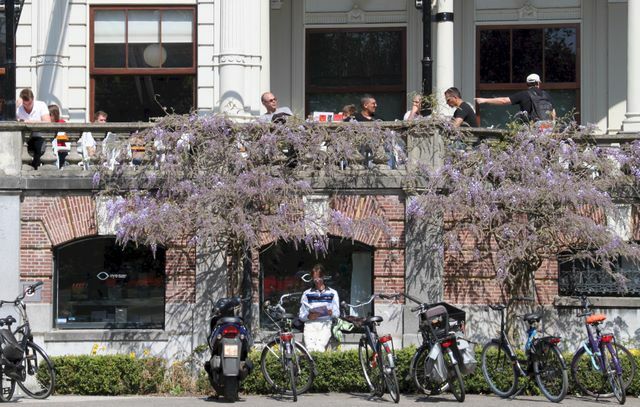 At that time its location was on the edge of Amsterdam, since then it has become central in the city, close to Leidseplein and Museumplein.